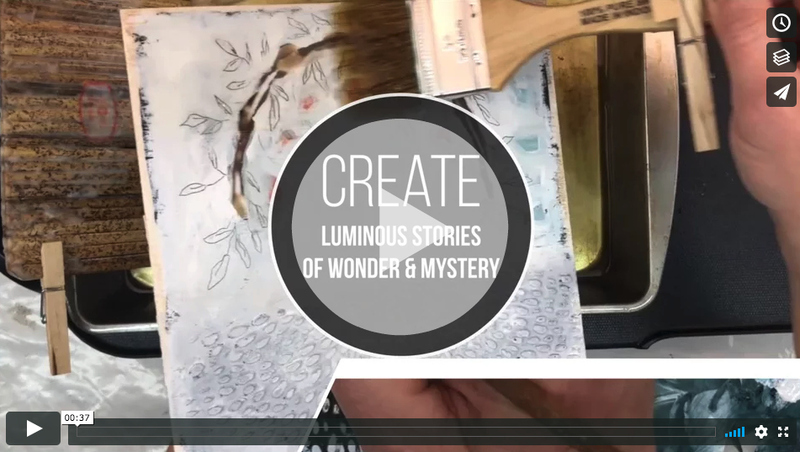 INSTANT Encaustic Mini-Course with Stephanie Lee Just Launched! Anyone wishing they were in our studio learning encaustic from Stephanie Lee right now? We have a fun surprise and we hope it feels like the next best thing to being here! 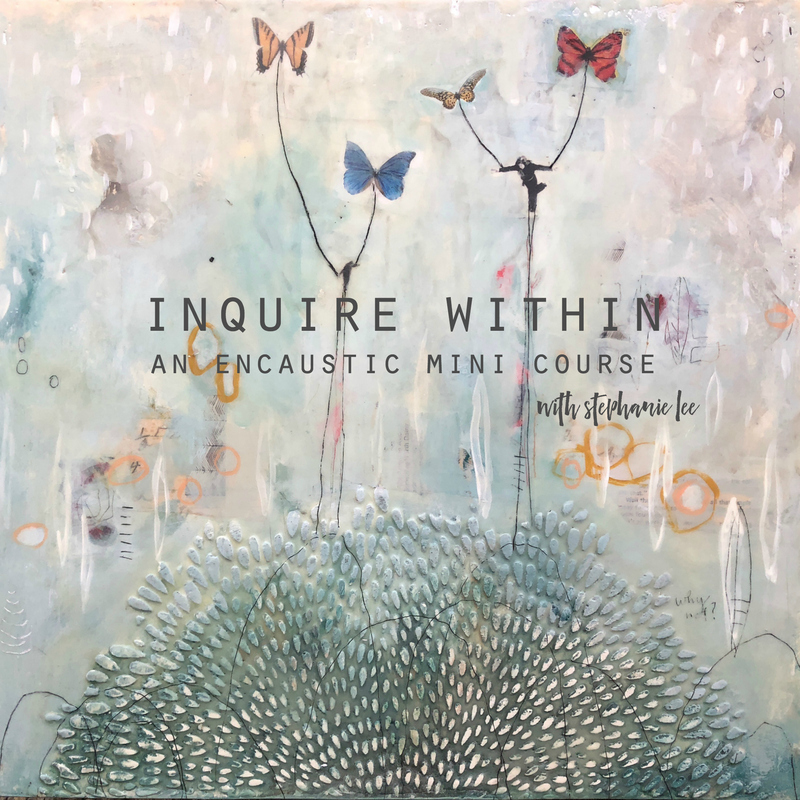 Stephanie Lee has created an INSTANT mini-course, Inquire Within, just for all of you that could not make it to our studio! She is so awesome! That means right this second you can sign-up and start learning her techniques for encaustic art! In this workshop, you will build up a foundation of plaster, paint, and collage. You will then use the humble materials you have at hand to explore color and shape, light and shadow, and story-telling through imagery and mark making. You will start with exploring substrates for the best foundation and then follow with creating studies in texture and colored surfaces ready to receive paint. 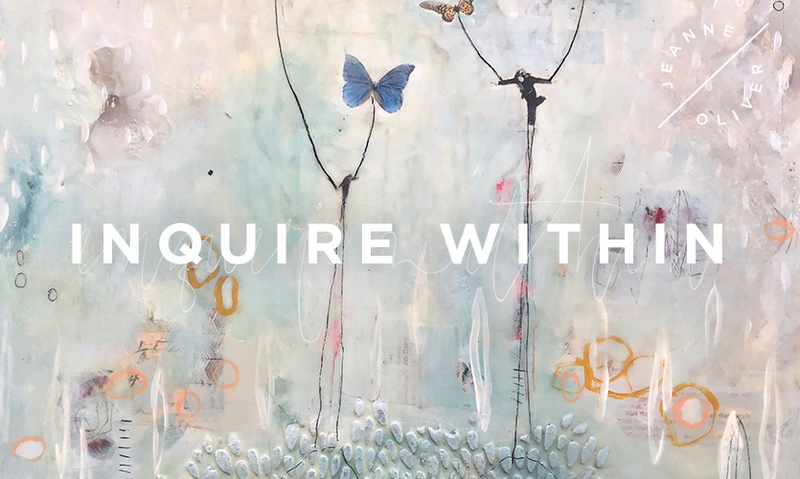 Mindfully working with and against the materials to create dynamic compositions, you’ll employ the power of personal inquiry to invite your singular creative voice to show up with courage and clarity. All this plaster and paint expression will be finished with luminous layers of wax that you will texture further for depth that can’t be achieved any other way. When you have completed your pieces as you follow along, you will have created luminous, visual stories of wonder and mystery. This 2+ hour instantly available mini-course is $28 and have lifetime access.